Plus its only 2 years new! Home warranty included. MLS#21629884. eXp Realty, LLC. Don't miss your opportunity to come see this lovely home! 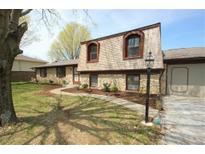 MLS#21629957. Highgarden Real Estate. 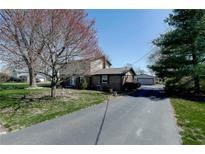 The meticulously kept corner lot has an extra large side yard with mature trees and landscaping. Move in and enjoy! MLS#21629762. Matlock Realty Group. 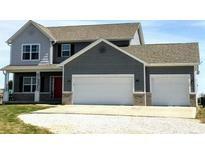 Buck Creek Meadows - All new appliances including washer and dryer stay with home! MLS#21629891. F.C. Tucker Company. Cumberland Falls - AND HOA fee covers lawn mowing, trimming and fertilizing! Must see! MLS#21629448. F.C. Tucker Company. Bowman Acres - See attachments for list of updates and upgrades. MLS#21622321. RE/MAX Realty Group. Huge concrete patio in the back yard includes koi pond and serene view of neighborhood pond. 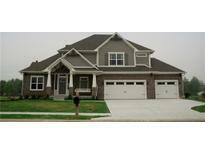 MLS#21629328. CENTURY 21 Wilson & Associates. 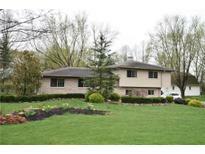 Greyhawk Woods - Short commute downtown & minutes to shops/restaurants. MLS#21628134. Berkshire Hathaway Home. Hampton Place - Private fenced backyard with stone patio, outdoor kitchen, bar, gas fire pit, ect large Master w/french doors to patio, tiled walk-in shower, heated floor & large walk-in closet. New carpet in bedroom;'s MLS#21629095. Berkshire Hathaway Home. Copeland Farms - Enjoy relaxing on your back deck. MLS#21629230. RE/MAX Realty Group. Criket Reel - Stunning windows and trim throughout! Pavered patio. MLS#21629026. RE/MAX Realty Group. 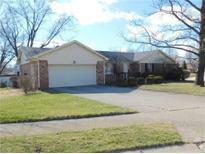 The home does need cosmetic updates fresh paint and carpet but is priced accordingly. MLS#21628645. RE/MAX Legends Group. Separate heated workshop building with heat office and half bath. Beautiful multi-level deck. 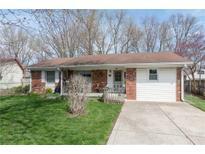 MLS#21628613. RE/MAX Realty Group. Must see this one. It won't last! MLS#21628518. RE/MAX Realty Group. The home is dated and will need new mechanicals, paint and other upgrades. MLS#21628655. 101 Realty Group, LLC. Greyhawk Woods - Professionally landscaped yard, paver patio & outdoor 14x18 ft storage barn! A must see! MLS#21628241. F.C. Tucker Company. Meadow At Springhurst - Kitchen has stainless steal appliances, center island with room for seating & pantry. MOVE IN ready! MLS#21628246. F.C. Tucker Company. 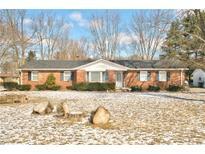 Excellent location-within walking distance to downtown Greenfield, restaurants, shopping, and Riley Days! Schedule a showing today! MLS#21628421. RE/MAX Realty Group. Close proximity to new 3 lane I70 for ease of travel. MLS#21626237. F.C. Tucker Company. Also has enclosed porch, fenced rear yard area for your dog. (E-NIC) MLS#21627925. CENTURY 21 Wilson & Associates. 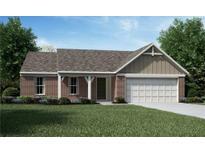 Westin Village - This 3 bedroom, 1 1/2 bath features new flooring, all appliances included and move in ready. Schedule your showing today! MLS#21626245. RE/MAX Realty Group.